A great deal of time has passed since my last post and I promise another edition of Something Creepy Your Way Comes shortly with all sorts of new creepy recipes, creepy book recommendations, creepy science links and more. But for now, I thought I’d let you know where you can find me this fall in case you had some time on your hands and found yourself wandering nearby! Up next is 2018 Book Bash Canadian Children’s Literature Festival, hosted by the Toronto Public Library and part of this year’s International Festival of Authors. 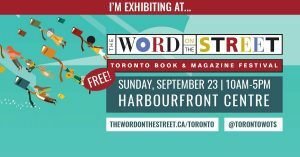 The festival will take place at Harbourfront Centre on Saturday, October 20 between 12-4pm. I’ll be doing part of my Edge of Your Seat workshop series for young writers who want to craft suspenseful scenes beginning at 2pm in the Main Loft. Space is limited, but tickets are free! Bring a pencil and your imagination! 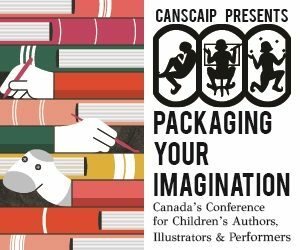 Finally, for all you aspiring and accomplished horror writers out there interested in some spooky insight into the writing processes of both myself and the frighteningly awesome Joel A. Sutherland, come join us at this year’s Packaging Your Imagination Conference hosted by CANSCAIP. The conference will be held at the Li Ka Shing Knowledge Institute, 209 Victoria Street, on Saturday, November 10, 2018. Can’t attend in person? No problem! Check out the virtual option! You’ll get to hear me again, and again, and again…I’ll never go away…mwahahaha!!! « The Forest of Reading!